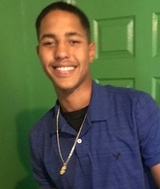 Anthony Jacob “AJ” Weber, a 16-year-old black male, was shot and killed by Los Angeles County Sheriff’s deputies Sunday, Feb. 4, in the 1200 block of West 107th Street in Westmont, according to Los Angeles County coroner’s records. About 8 p.m., two deputies responded to a report of a young man in blue jeans and a black shirt pointing a handgun at a driver in the area. The caller, according to audio of the dispatch call, said he feared for his life. While on foot, deputies encountered a 16-year-old boy who matched the description. They spotted a handgun tucked into his pants, according to statements by the Sheriff's Department. When they ordered him not to move, the teen ignored the deputies' commands and took off running into an apartment complex known as a gang hangout, Sheriff's Capt. Chris Bergner has said previously said. After entering a courtyard, the young man turned toward the deputies, prompting one of them to fire about 10 shots. The teenager was struck "several times" in the upper body, the department said in a statement. After the shooting, the department said, neighbors immediately flooded the courtyard and the two deputies called for additional help to control the crowd as it swelled to 30 or 40 people. Deputies believe the gun went missing during the commotion, Bergner has said. The department is hoping to speak with more witnesses as it continues the investigation. The shooting highlighted tensions between law enforcement and the community, some of whom accused the department of lying about whether the teenager had a gun. Days after the shooting, Margarita Ortega stood in the courtyard of the apartment complex and told the teenager's father what she saw that night. Ortega, 23, said she was in her bedroom when she heard a barrage of gunfire. She walked outside her door — only about 15 feet from the site of the shooting — and saw deputies standing near Weber's body, as his friends shouted "Give him CPR, give him CPR!" "I don't know why they are saying there was like 40 people out here when there wasn't," she said. "Everybody was so terrified they stayed inside their house." John Weber, Anthony's father, listened to Ortega with tears in his eyes. He described his son as a father to an infant daughter and said the teen had recently started attending a charter school in the area. In his hand, he carried his son's ROTC uniform. Additional details about the shooting were not available from the coroner’s office because law enforcement has placed a security hold on the information, preventing it from being publicly released. The police killed this child in cold blood I was one block away when this happened not only did they lie about the crowd of people but they had at least sixteen squad cars blocking the whole crime scene they didn’t even let the EMT van carry the young boy to save him they let him die in cold blood. My heart goes out to his family and friends I find it crazy how police manage to arrest non-black suspects that are armed an dangerous when they seem to be trigger happy when it comes to people of color. — A mom Oct. 30, 2018 at 2:06 a.m.
— Ree Ree March 23, 2018 at 10:06 p.m. I heard family members talking on a radio program today. AJ was a nice looking young man. My condolences to his family-the loss of a child is always a life-long heart ach. As a former elected District Attorney for almost 18 years and a Civil Rights Attorney who has successfully prosecuted police excessive force and wrongful death cases in Federal Courts in several States, it appears that this teenagers death was the product of poor department training and a cult of bigotry, and excessive , unnecessary force. Let us all hope that the family has available the assistance of a qualified Civil Rights Team to investigate this case, provide a timely Tort Claim Notice, and file a Federal 42 USC Sec. 1942. — Foster Glass, Attorney March 15, 2018 at 1:49 p.m.
Sending care package, Sympathy and Support cards signed by the Military, RT Military, Gov. Workers to the family. Hunter Army Airfield Fitness Center. I have sent out over 465 cards across United States, Canada and Mexico to families that have lost their LOVE ONES. GUNS DONT KILL PEOPLE/ PEOPLE KILL PEOPLE. My vision is to heal all nations of people, GUNS were made by man but not the UNIVERSE. — SUDAN SALAAM Feb. 21, 2018 at 7:41 a.m.
Another officer involved shooting of a virtual child! 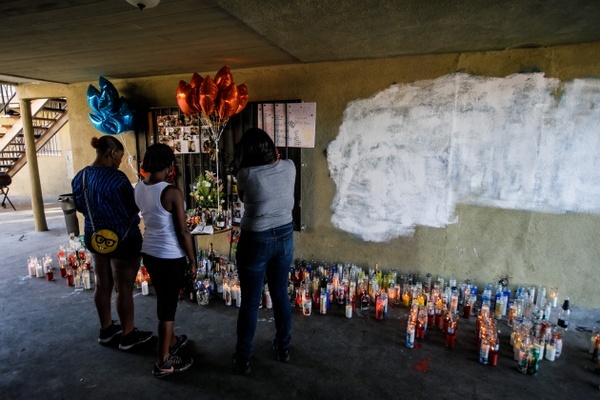 A 16-year-old boy is murdered by the biggest gang of all, the L.A.P.D. When will this insanity cease? It is the scariest time for parents to live in Los Angeles county and America in general because of all the weapons and unprepared fools holding the weapons. May the Good Lord bless his soul and may his loving parents find peace in knowing AJ Weber is in God's loving embrace. — Pnuttas818 Feb. 18, 2018 at 9:27 p.m.